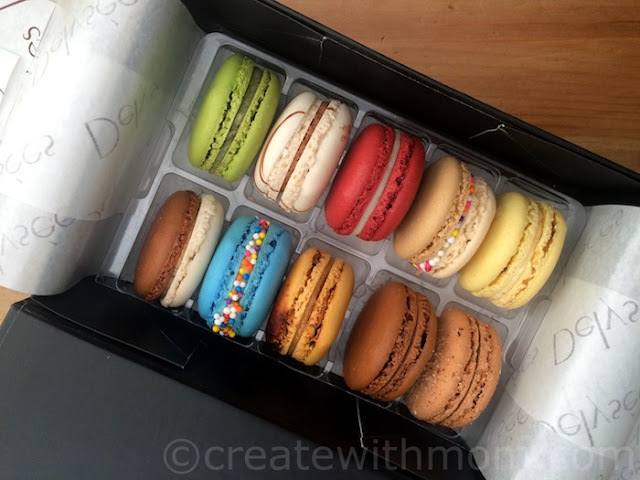 We can either take out the treats packaged beautifully to give as gifts or enjoy the desserts at the location. They accommodate seats for nearly 50 people. The Frozen Collection includes mini frozen ice cream bars and one-of-a-kind 3" diameter gelato macaron. 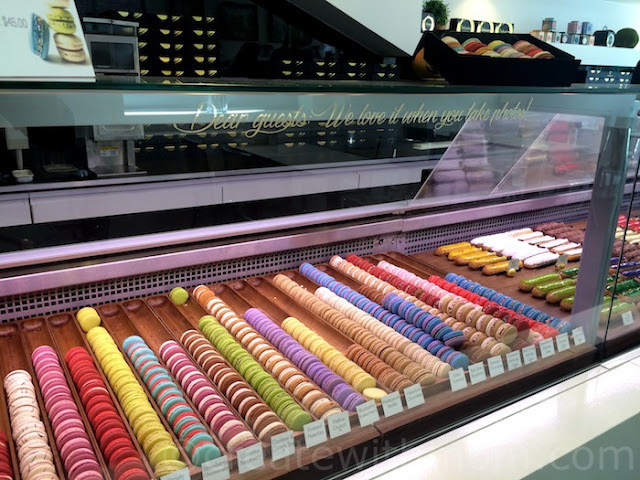 There are 14 different flavours including: Sea Salt Caramel, Madagascar Vanilla, Lindt Chocolate, and more. 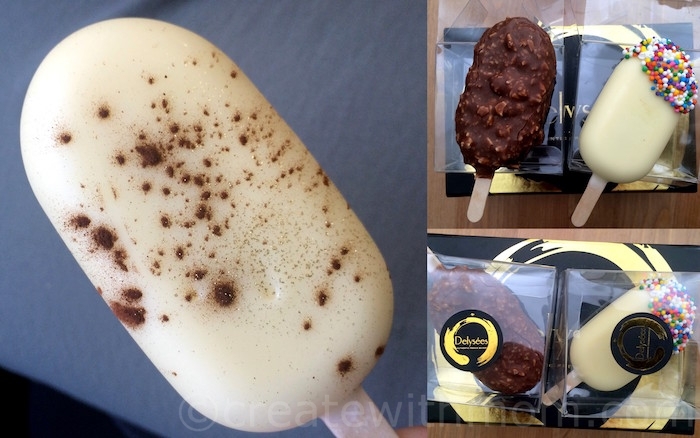 Our favourite is the vanilla cheesecake flavour ice cream bar. 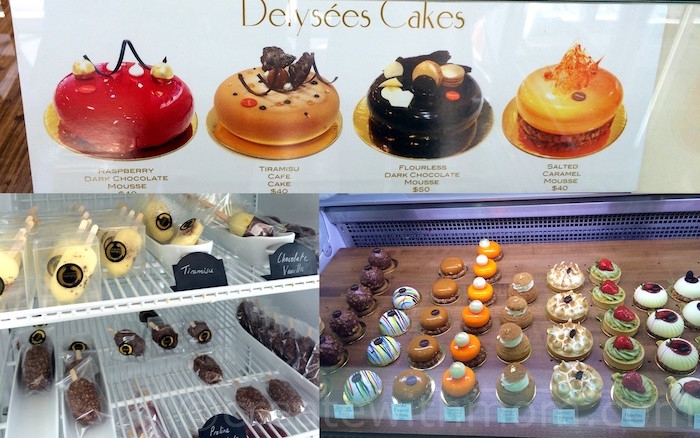 Beyond the daily delicious café staples such as croissants, chocolates, and espresso drinks, Delysées has a range of bridal creations such as impressive macaron towers and customized desserts and party favours. Wow, I've never heard of this place but, I don't live in or near Toronto. I do live about 90 mins away and get there every now and then. I'm going to have to find this place!! Thank you so much ! I like French things so sweets are no exception. Maybe I'll come across Delysees sometime when I'm in their neighbourhood. My e-mail is elixer2@hotmail.com. 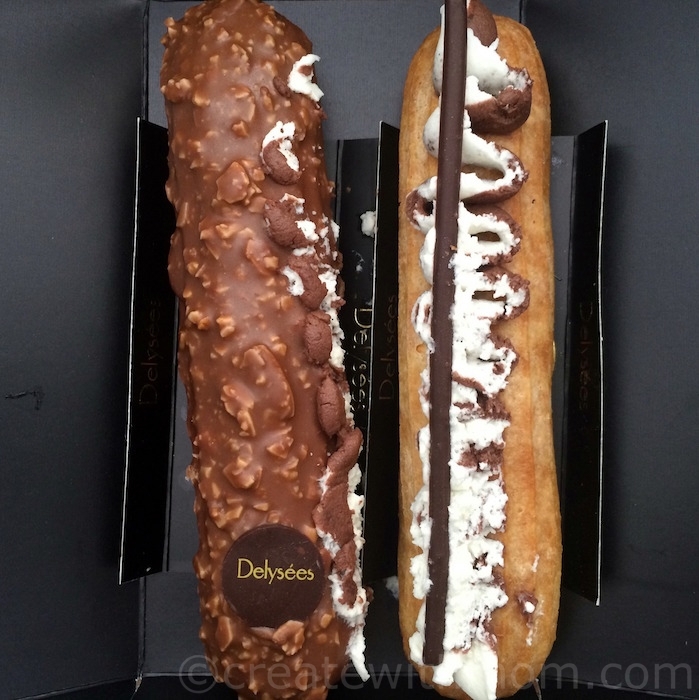 We love weekends away in Toronto and I am going to put Delysees as a place we must check out! totally checking this place out during my next trip into the city! These treats look so amazing! I wish I could eat them all!